THURSDAY, June 22, 2017 (HealthDay News) -- Although states where recreational marijuana is legal may have experienced a slight bump in traffic collisions, the good news is that there wasn't an increase in crash-related fatalities compared to other states, two new studies show. 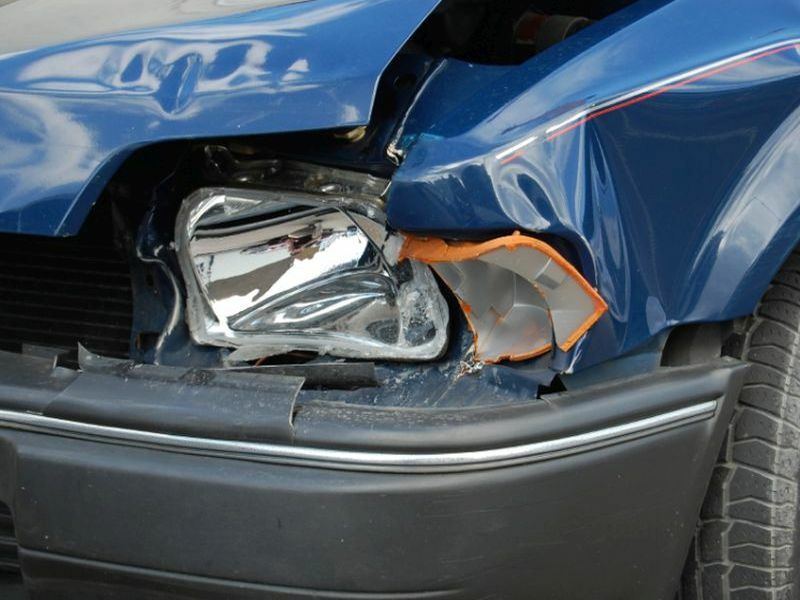 Insurance claims data show that Colorado, Washington and Oregon all experienced an increase in auto accident claims after retail marijuana sales became legal, according to research by the Highway Loss Data Institute (HLDI). But Washington and Colorado had similar rates of traffic fatalities as eight other states that haven't legalized recreational pot, an analysis of federal crash data published June 22 in the American Journal of Public Health found. The conclusions of the two separate studies don't necessarily conflict, said J.T. Griffin, chief government affairs officer for Mothers Against Drunk Driving. "One of the characteristics of a driver who's on marijuana is they tend to drive more slowly," Griffin said. "If they're doing that but they're impaired, to me that would imply to me there would be more fender-benders. There would be more rear-end collisions and people running off the road and those kinds of things." Analysis of insurance claims revealed that states experienced a combined 2.7 percent increase in collision claims when recreational marijuana hit the open market, compared to other nearby states, according to the HDLI. Colorado experienced a 14 percent increase in collision claims compared with nearby Nebraska, Utah and Wyoming. Washington underwent a 6 percent increase compared to Idaho and Montana. Oregon had a 4 percent increase compared to Idaho, Montana and Nevada. "Worry that legalized marijuana is increasing crash rates isn't misplaced," David Zuby, executive vice president and chief research officer for the Insurance Institute for Highway Safety, said in a statement. "HLDI's findings on the early experience of Colorado, Oregon and Washington should give other states eyeing legalization pause." However, a separate review of traffic fatality data kept by the Federal Highway Administration showed that fatal wrecks occurred in Washington and Colorado at about the same rate both prior to and following implementation of legal marijuana. Year-over-year changes in crash fatality rates in the two recreational pot states were similar to those in Alabama, Indiana, Kentucky, Missouri, South Carolina, Tennessee, Texas and Wisconsin, said lead researcher Dr. Jayson Aydelotte. He's a trauma surgeon with Seton-Dell Medical Center at the University of Texas-Austin. Recreational marijuana laws have amounted to a "giant social experiment," Aydelotte said, and officials are now finding out how legal pot can affect public safety. So far, eight states and the District of Columbia have passed laws legalizing recreational pot sales, according to NORML, a group advocating for the reform of marijuana laws. "One of the claims was that if you legalize marijuana, you're going to have a whole population of drugged drivers out there and have more traffic deaths," Aydelotte said. "It looks like there's no statistically significant difference before or after, or compared to control states that didn't have those laws passed." Findings from the crash fatality study "ought to be reassuring to lawmakers and those in the public who possessed concerns that regulating adult marijuana use may inadvertently jeopardize public safety," said Paul Armentano, deputy director of NORML. But Dr. Scott Krakower, assistant unit chief of psychiatry at Zucker Hillside Hospital in Glen Oaks, N.Y., noted concerns that pot can increase the overall risk of vehicle accidents. "The public should therefore interpret this study with caution until further research is conducted," Krakower said of the traffic fatality study. Griffin said the two studies show that more needs to be done to understand the potential effects of marijuana on driving ability. "We certainly know it's never good to use an impairing substance and then drive, but marijuana affects the body very differently than other drugs do," Griffin said. "We have a lot more to learn. It is something states need to look at when they're considering legalization." One particular challenge is coming up with a way to judge whether driving ability has been impaired by pot. Marijuana does not lend itself to something as simple as a blood alcohol test, Griffin said, which means law enforcement will need even more training to be able to enforce impaired driving laws against drivers under the influence of pot. "Frankly, there may never be a .08 standard because of the way the drug works," Griffin said, referring to the standard blood alcohol level for drunk driving.